Order your Crane Navy Rule Line Frame Notes 10/10 today from FahrneysPens.com. Fine Pens, Refills & Luxurious Gifts – great prices & fast shipping. A punch of pattern makes the ensemble. Such is the case with one’s accessories as well as one’s stationery. 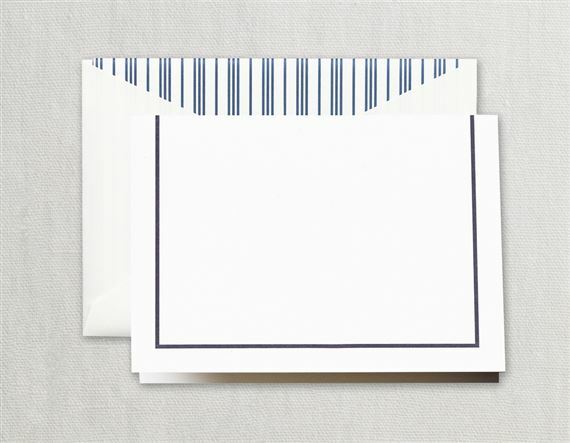 A simple navy frame compliments our Executive Pinstripe fashion envelope liner, perfect for the correspondent with tailored taste.